With 30 years of consumer research consulting experience as a foundation, Robert Gray is responsible for leading both Insightlink Communications, a research company that specializes in employee surveys, and Gray Insight, a custom market research consulting company. Robert ensures that all Insightlink and Gray Insight research studies incorporate his extensive survey design and analysis experience. Since 1982, Robert has conducted an extremely wide range of studies, with particular expertise in overall market assessment, strategic brand positioning, employee engagement and satisfaction, communications tracking as well as both new product development and forecasting. His consulting work has focused on such Fortune 500 companies as Microsoft, Ford, Chrysler, Unilever, Mars Petcare, Verizon and Diageo (makers of Smirnoff and Baileys). 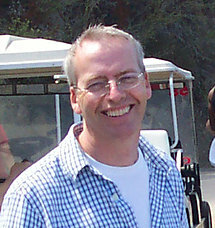 Prior to forming Insightlink and Gray Insight, Robert was President of PGR in Los Angeles. At PGR, he helped develop unique research methodologies to provide clients with detailed knowledge of their target consumers’ core motivations and produced both presentations and reports distinguished by the usability of their findings and the strategic recommendations they offered. Before joining PGR, Robert was a partner at Commins, Wingrove in Toronto, where he functioned as an “external” research director for a number of large packaged goods clients that did not have internal research departments. As President of Insightlink, Robert originally developed the proprietary 4Cs model of employee engagement, which evaluate Commitment, Culture, Communications and Compensation as the four main building blocks of employee satisfaction. The 4Cs model acts as the basis for Insightlink's full range of employee survey services. As President of Gray Insight, Robert enjoys the challenge of translating client issues and problems into meaningful research projects, employing the strengths of his experience in both qualitative and quantitative research methods. Most recently, he has begun distilling his research experience in a blog called Why Market Research at http://grayinsight.blogspot.com. Robert received his B.A. in history and an M.B.A. from York University in Toronto, Canada and is a member of the MRA (Marketing Research Association), including having received Professional Researcher Certification (PRC) from the MRA. Responsible for establishing the vision of what well-executed employee surveys should be. Designed the 4Cs model of employee engagement: Commitment, Culture, Communications, Compensation. Responsible for client consultation, study design, managing data collection and analysis. Work with a project team on each research study. Partner responsible for managing key client research accounts as an external "market research department." Responsible for project design and implementation. Managed a staff of 10 employees. Conducted both qualitative and quantitative research studies for major clients.